Donald Trump doesn’t feel welcome in Britain, ironically whinging about being depicted as a baby. 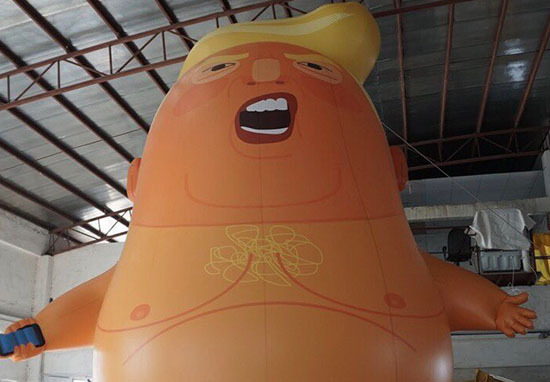 Trump arrived in the UK yesterday (July 13), and while he has undoubtedly been met by a lot of very sour faces in England, the one thing which is making him feel most unwelcome is the giant baby-Trump balloon floating over London. Ahead of the US President’s visit to the UK this week, protesters wanted to find a peaceful way to show their disapproval. One genius idea which proved very popular was the giant balloon depicting the most powerful man in the world as a baby, nappy and all. Thousands of people signed a petition and donated more than £16,000 to a crowdfunding campaign to fund the balloon’s creation. After all this persistence, London Mayor Sadiq Khan proved himself a fair and objective man, giving permission for the balloon to fly. While making millions of people across Britain gleeful, the balloon didn’t go down so well with the President. I used to love London as a city. I haven’t been there in a long time. But when they make you feel unwelcome, why would I stay there? I guess when they put out blimps to make me feel unwelcome, no reason for me to go to London. Trump also turned his attentions to Sadiq Kahn, probably aware that he was the politician that permitted the balloon’s employment. You have a mayor who has done a terrible job in London. He has done a terrible job. Take a look at the terrorism that is taking place. Look at what is going on in London. He might not like the current president, but I represent the United States. Yesterday, Kahn tweeted positive words about the US, saying he ‘cherished’ the relationship the UK has with the country. I cherish the special relationship with the US and the many Americans who contribute to our city. We expect the highest standards of each other. The special relationship means we speak out when the values we both hold dear seem under threat. Trump is planning to spend some of his trip doing something that takes up most of his time as US President – playing golf. 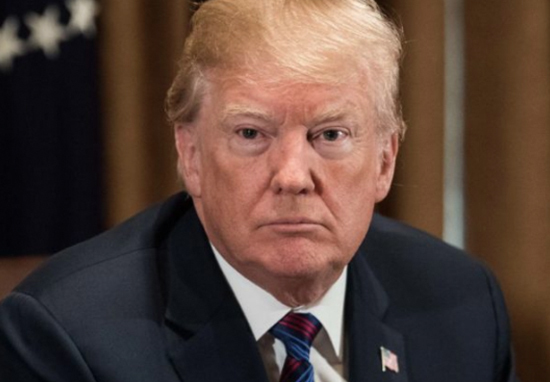 The President is set to visit his Turnberry golf course in Scotland on Saturday (July 14), but merely fleeing England won’t be enough to get away from his baby balloon. According to the Daily Mail, protesters are planning on transporting the balloon overnight to Scotland, following Trump like a giant, floating baby shadow. 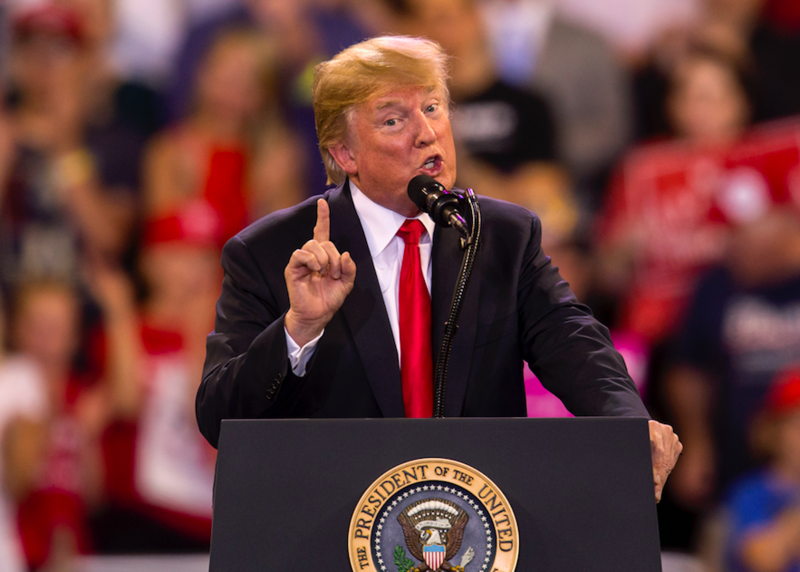 Police in Scotland are bursting the bubble – or balloon, so to speak – on their plan however, saying that the balloon is not allowed on the estate during the President’s visit due to security reasons. Clearly there is a significant protection operation in place for the president and this includes restrictions to the airspace in the Turnberry area. We need to ensure there is a balance between protection and public safety and the public’s right to peacefully protest. With that in mind and on this occasion we are unable to grant permission for the balloon to fly in that area, however we are in discussion with the applicants about possible alternatives.